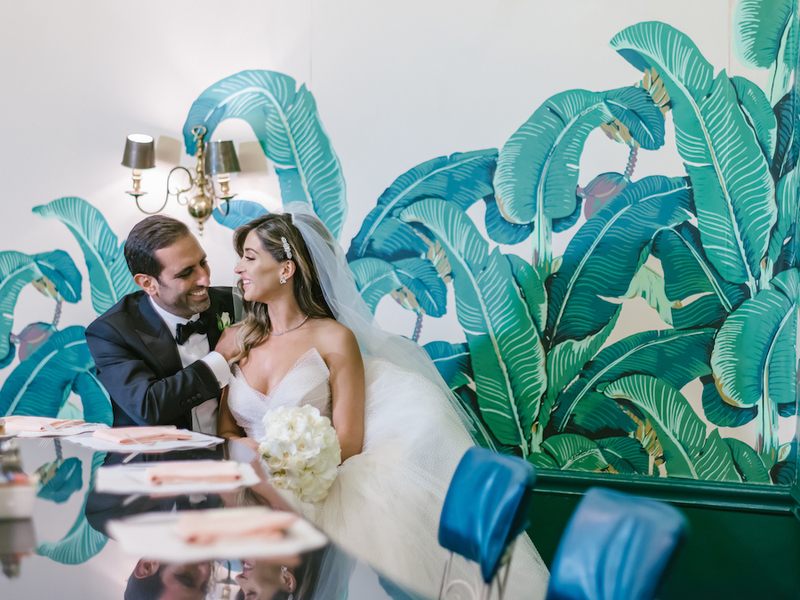 Chanel and Farz looked movie ready as they celebrated their wedding day at Beverly Hills Hotel. 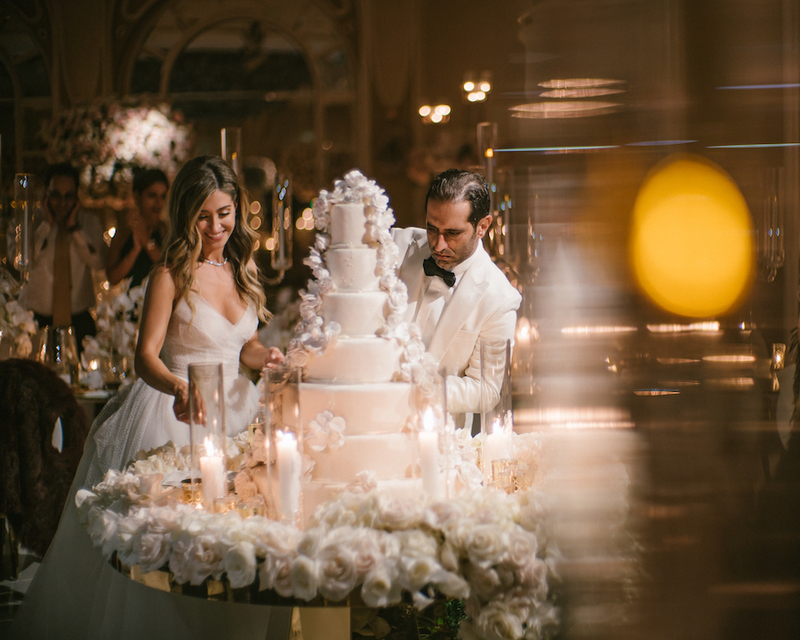 Dressed in a princess cut gown and her groom attired in a black suit, our lovely couple were turning heads from their own beauty to the style they incorporated to every decor piece found in their wedding. 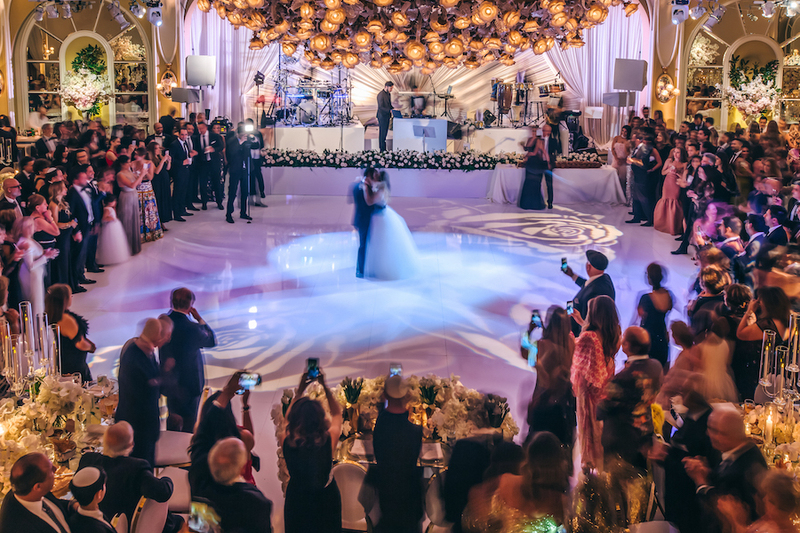 Their ceremony looked like the scene of an hollywood film of two lovebirds who celebrated their big day in pure elegance. 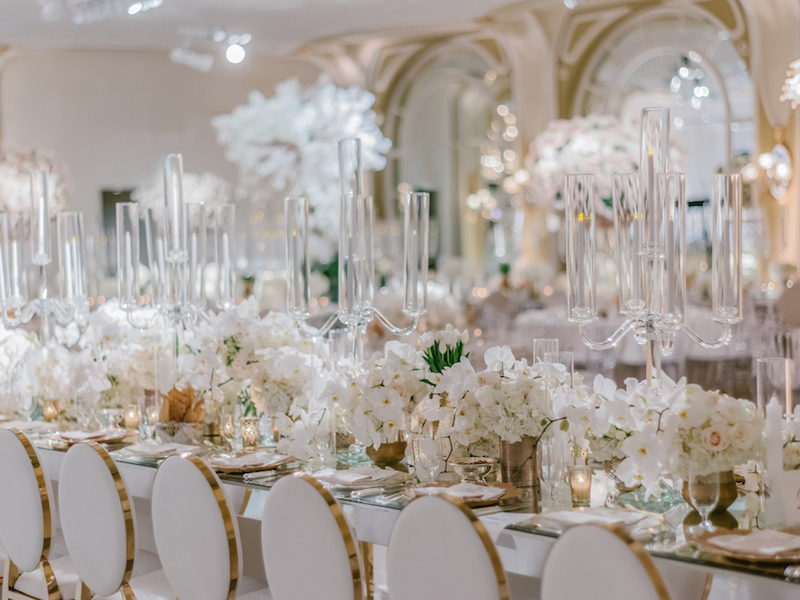 White wooden chairs were lined with standing candles that sat firmly in tall, golden frames lighting the way down the aisle. 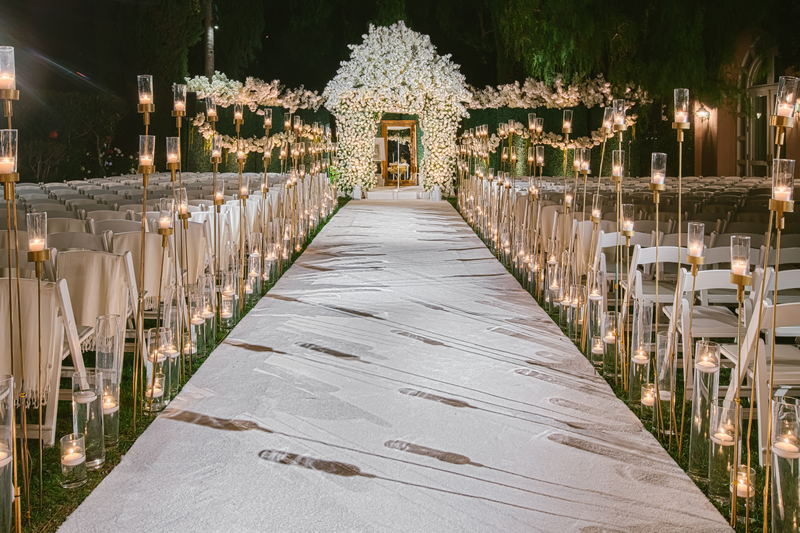 The set up framed the white path that led to floral crowned chuppah backed by the beautiful greenery of the hotel. 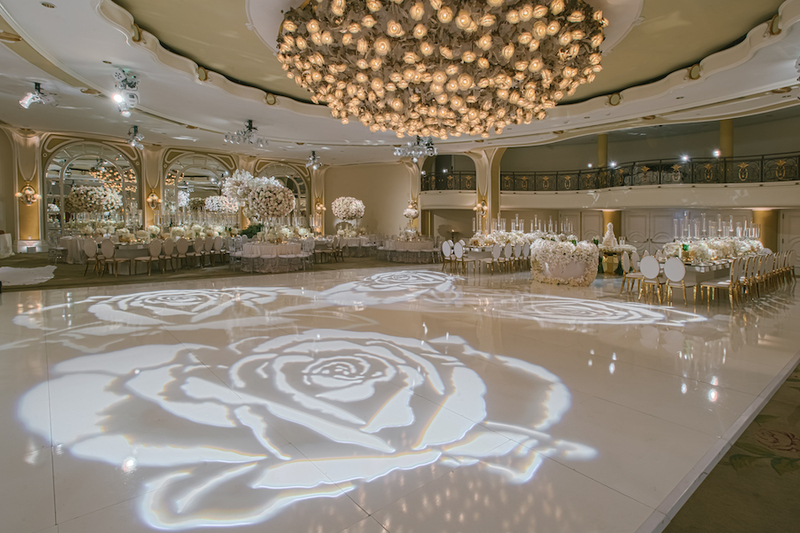 International Event Company incorporated this incredible style into the reception for a continued night of fine celebration. 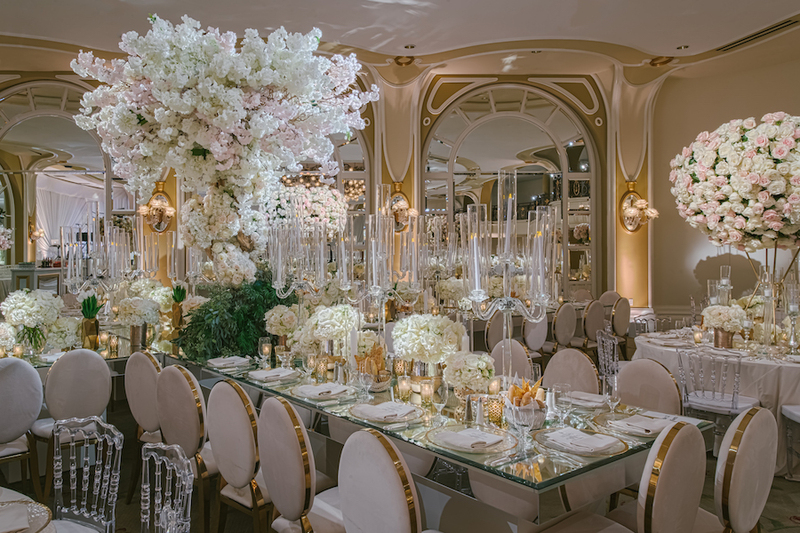 Entering the room, you are met with the beautiful aura of white florals that take over the room. 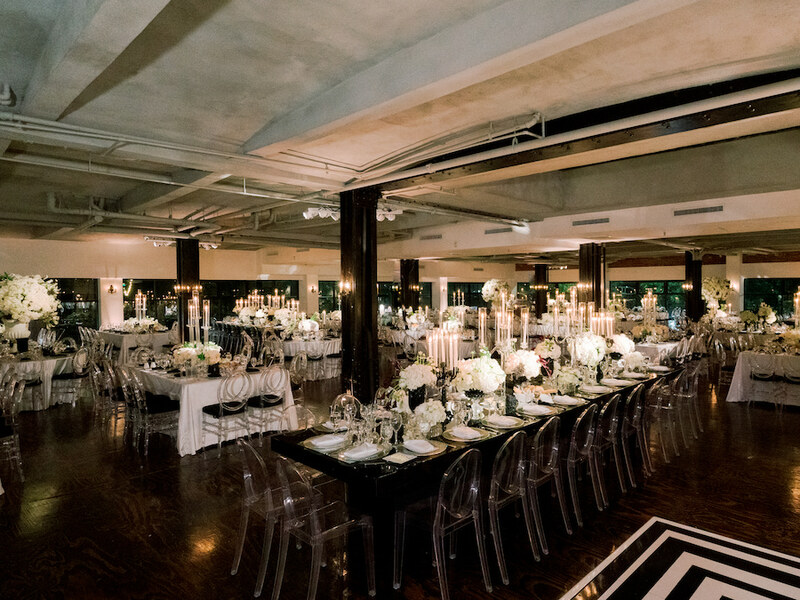 High ceilings and lighted chandeliers, their reception was nothing short of elegant. 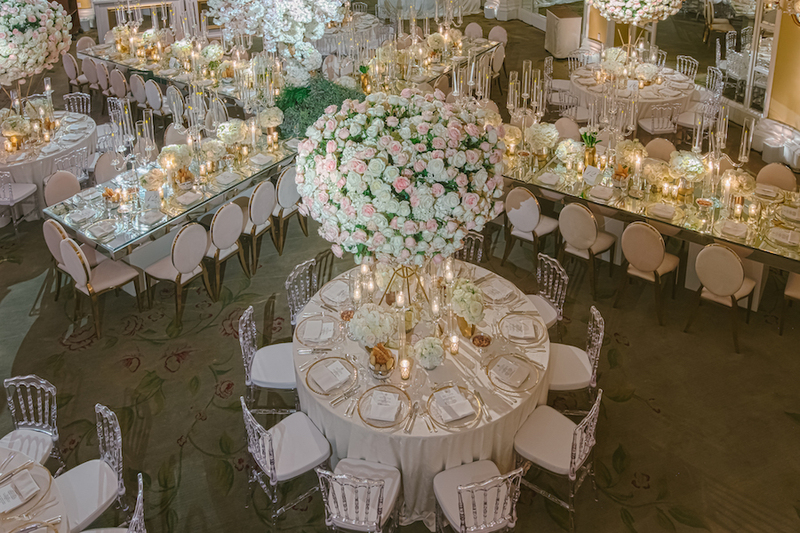 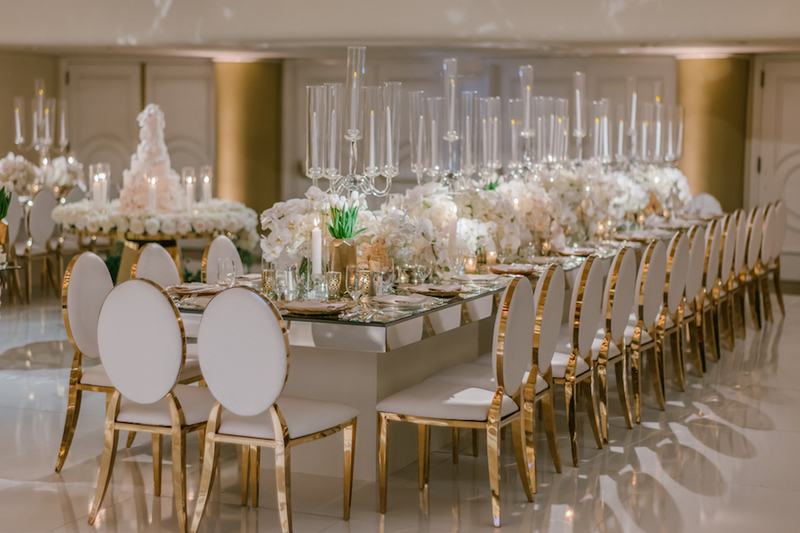 Each mirrored table was accompanied with white, round-backed chairs with gold accents. 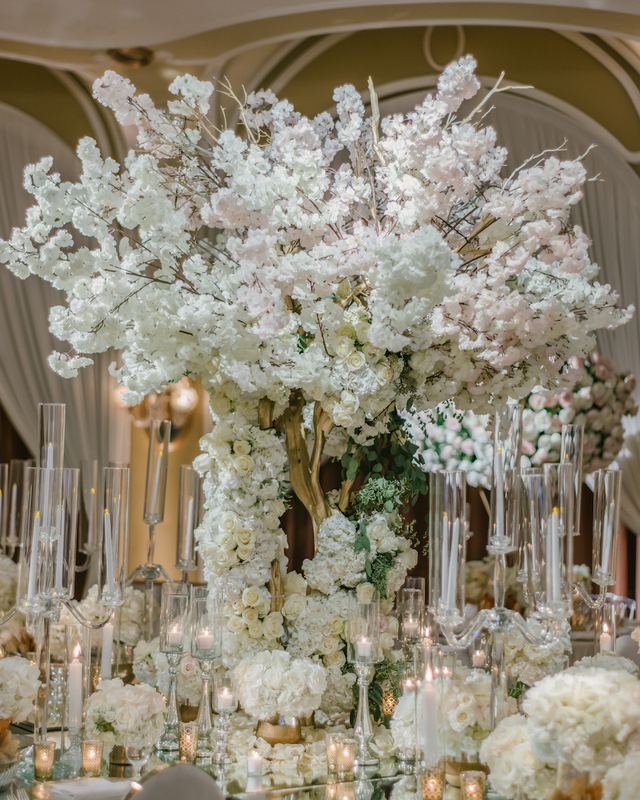 White blooms lined the table while a larger arrangement served as the centerpiece. 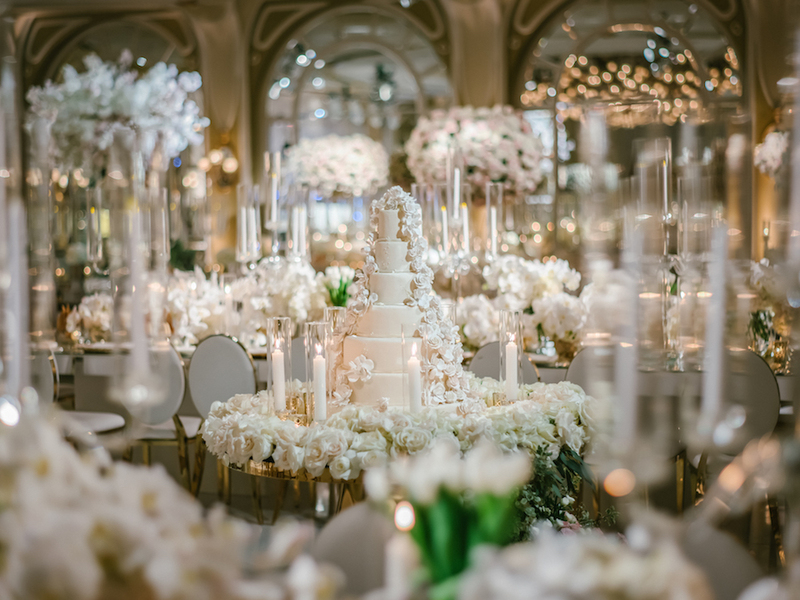 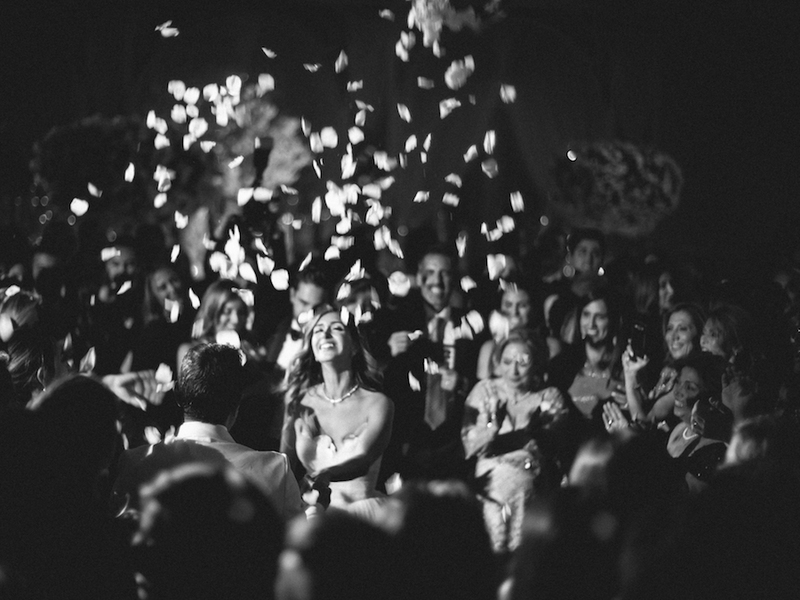 You have to see the incredible photos captured by Amy & Stuart Photography to see all the exquisite details. 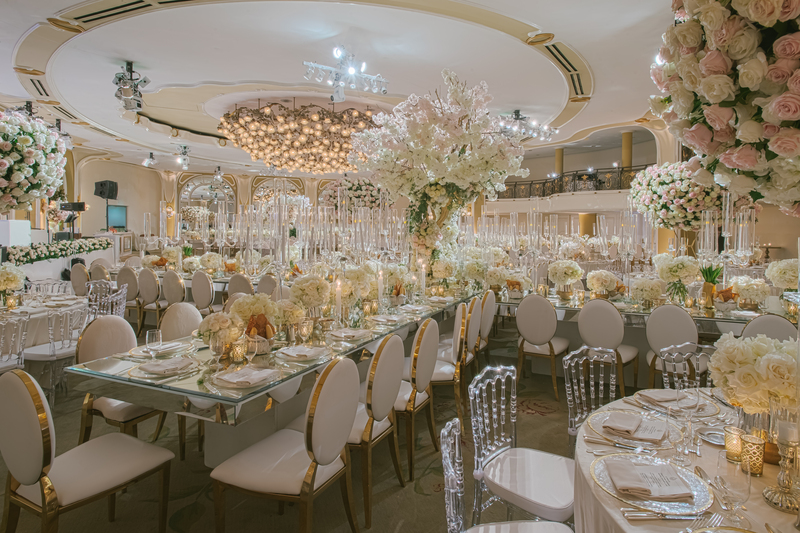 Scroll below to see more!